Access Granted is This & Every Friday @ Club Pisces. EVERYONE FREE ALL NIGHT. 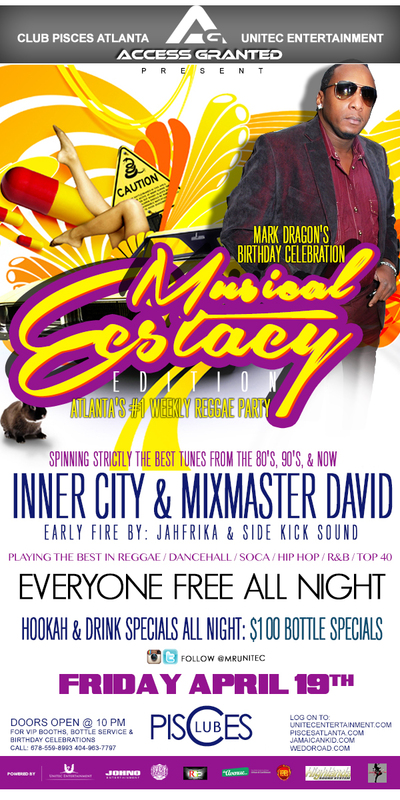 This Friday Unitec Entertainment brings you a night called Musical Ecstacy, celebrating the earth strong (birthday) of Mark Dragon, original selector from Jamaica’s Inner City Sound System at Club Pisces. Katchafire Is On the road again!